If your car is stuck in the snow, mud or water, we can help fast. 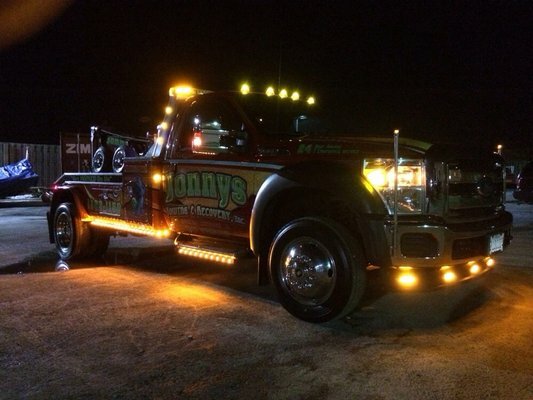 We have tow trucks stationed throughout the suburbs of Chicago and can routinely be at your side within 20 minutes of your phone call. It’s Winter in Chicago and that means cars getting stuck in the snow or sliding into ditches. If this has happened to you don’t call just any towing company to get you out of trouble. Our well equipped tow trucks have all the necessary tools and safety equipment to help you in roadside emergencies like these and our licensed tow truck operators are all highly experienced in winching cars and trucks out of the snow, mud, water or any other place you might happen to get stuck.